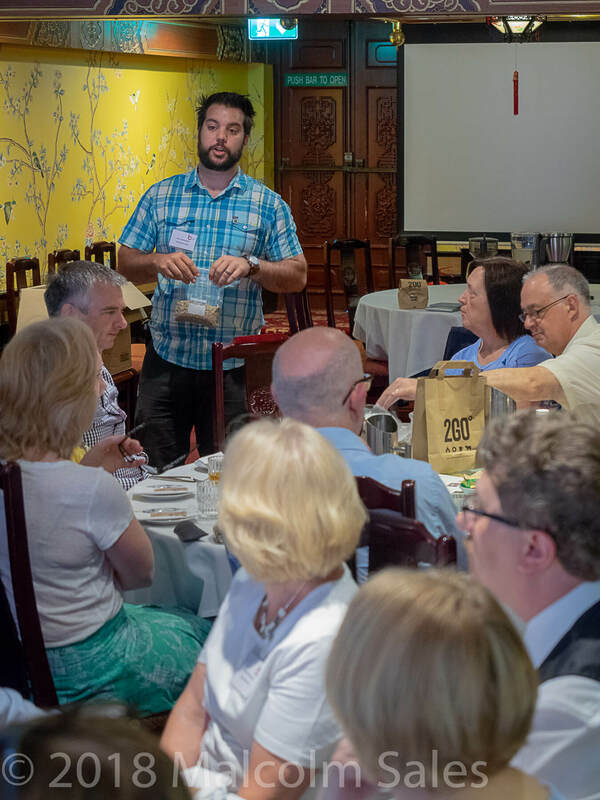 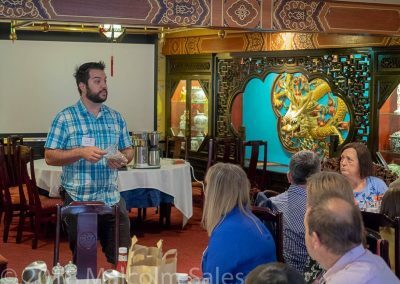 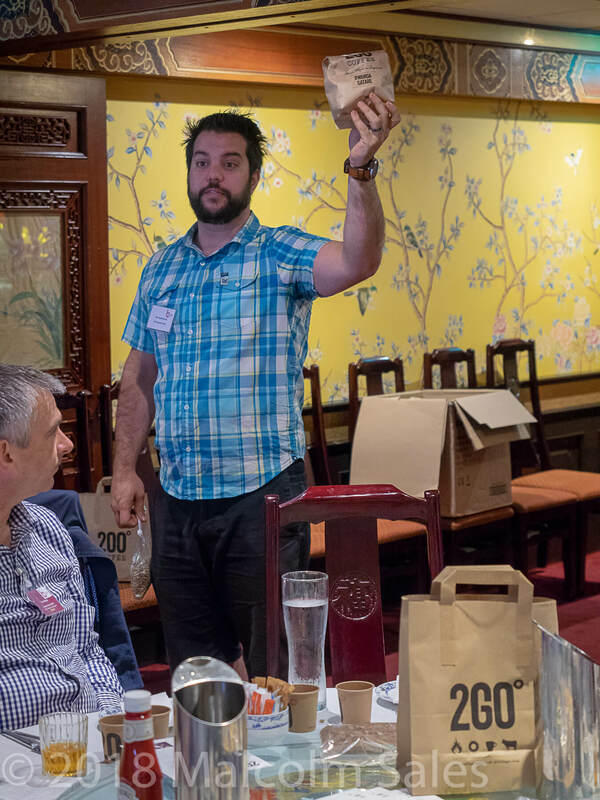 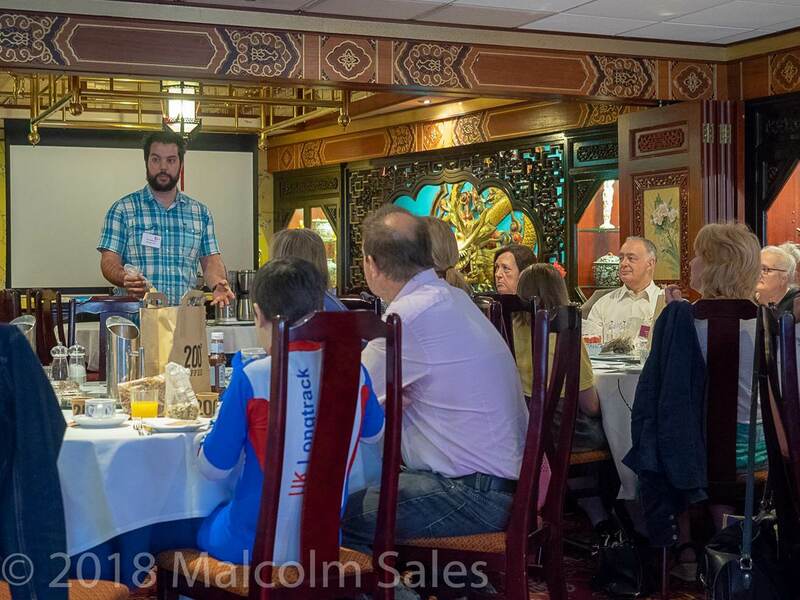 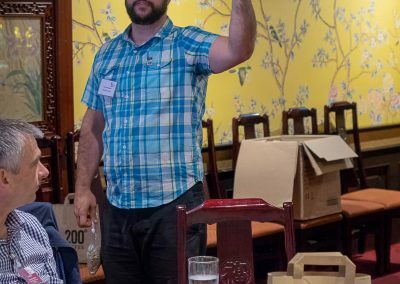 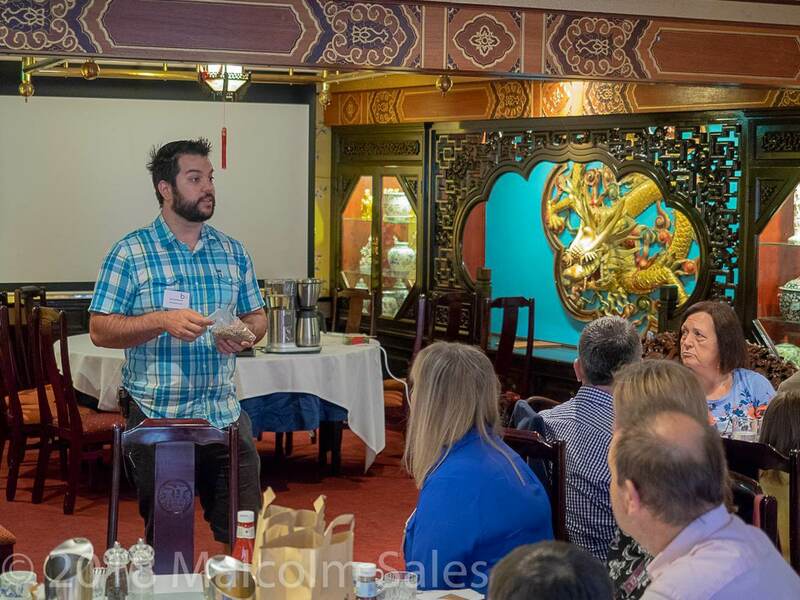 Alex Spampinato, the brand ambassador of Nottingham-based 200 Degrees coffee, visited Bingham Business Club to present an enlightening talk on everything you need to know about how coffee is made, from bean to coffee. 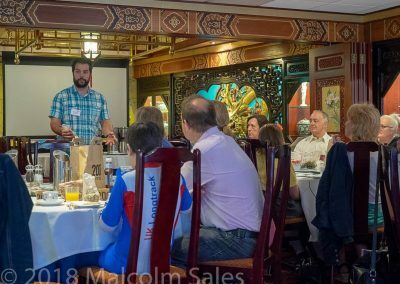 He handed round samples of coffee berries and beans to the attendees, followed by a sampling of freshly ground, filtered and poured coffee, with the request from Alex for flavours and tastes experienced on the palate and any changes noted as the coffee cooled. 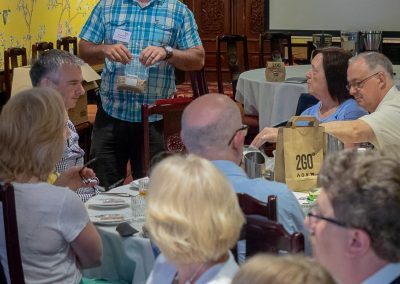 Vouchers for a free coffee from the coffee houses that 200 Degrees run on Carrington Street and Flying Horse Walk were also issued to all attendees … to smiles all around. 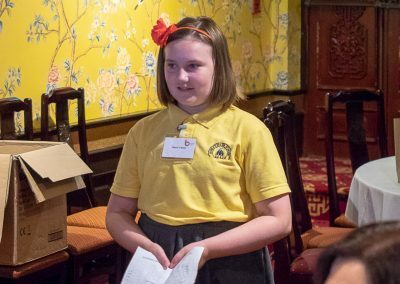 classmate of hers who had died from leukaemia. 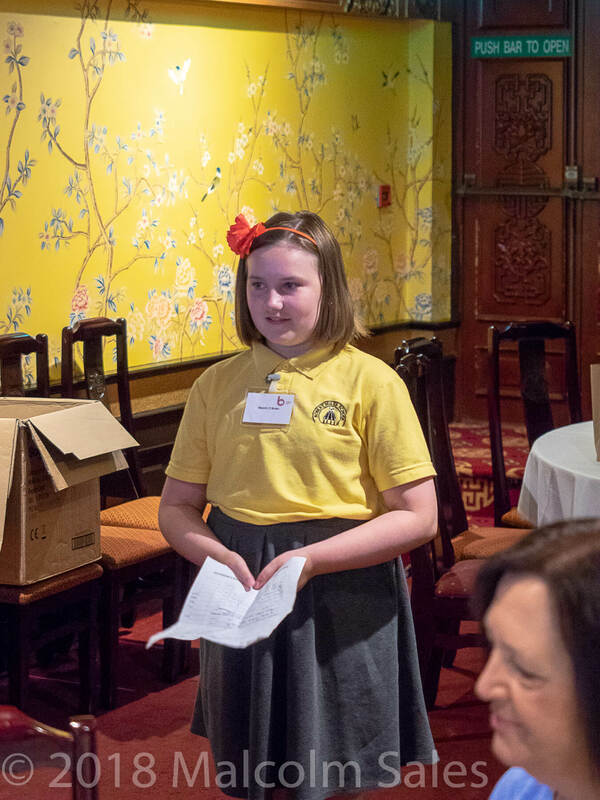 Niamh’s attendance and personal presentation at the previous meeting had helped to raise a significant sum from those present. Chairman Jonathan Hammond reminded the attendees of the time capsule photograph that is being taken this Saturday, June 30, in Bingham Market Place. 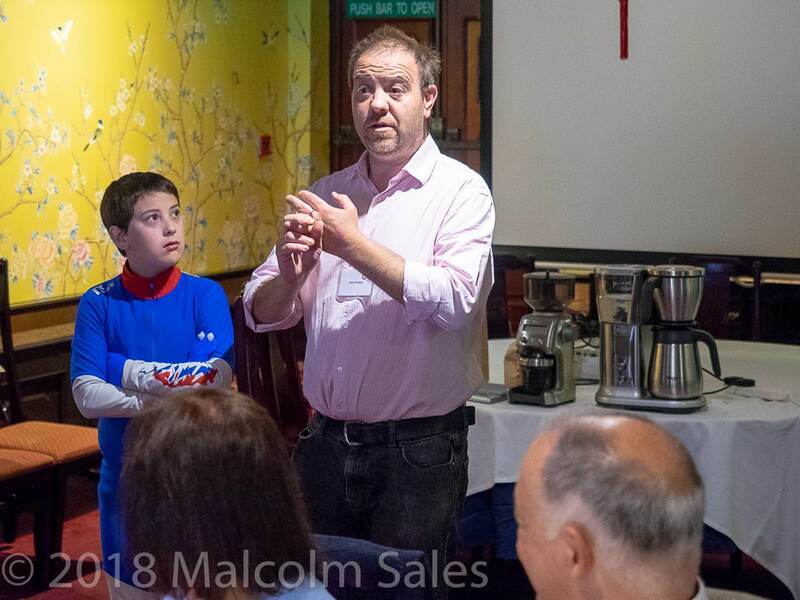 The time capsule will be buried within the works being carried out at the newly-refurbished and extended offices of Hammond Property Services in Bingham, and town residents are asked to congregate in the Market Place for 10am for Bingham based photographer Malcolm Sales to take the photograph.